Open the crafting window like you would any other crafter, and drag the recipe into the slot. 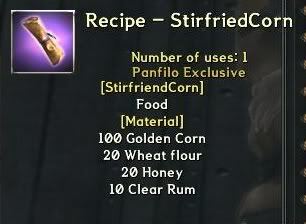 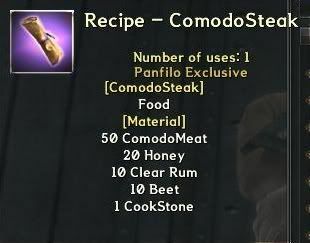 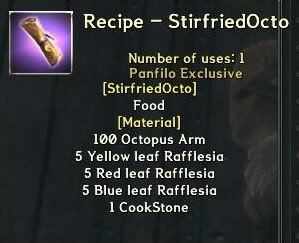 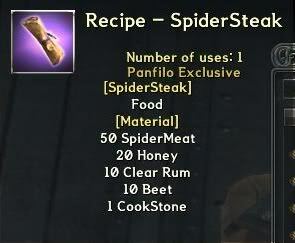 Once you have all the ingredients and make the food, an item should pop up in your Consumable inventory. 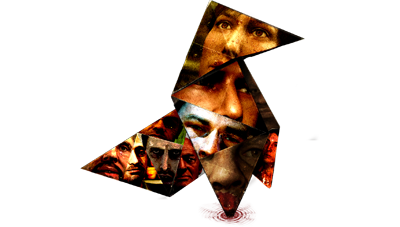 Once used, a clickable-npc-thing will pop out for a total of 6 people to click on. Once you click on it, it will provide you with a buff. I don't know if the buffs are different depending on the recipe or what, I also don't even know what any of the buffs do at this point. But this is the general information of cooking. 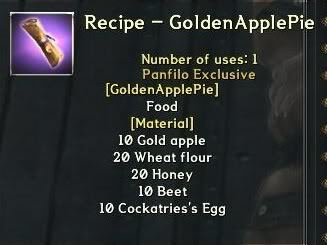 The pics of the recipes are listed below.